*Please Note: Each quart of Brulin Shattered 99 will yield 5 gallons of ready-to-use product! 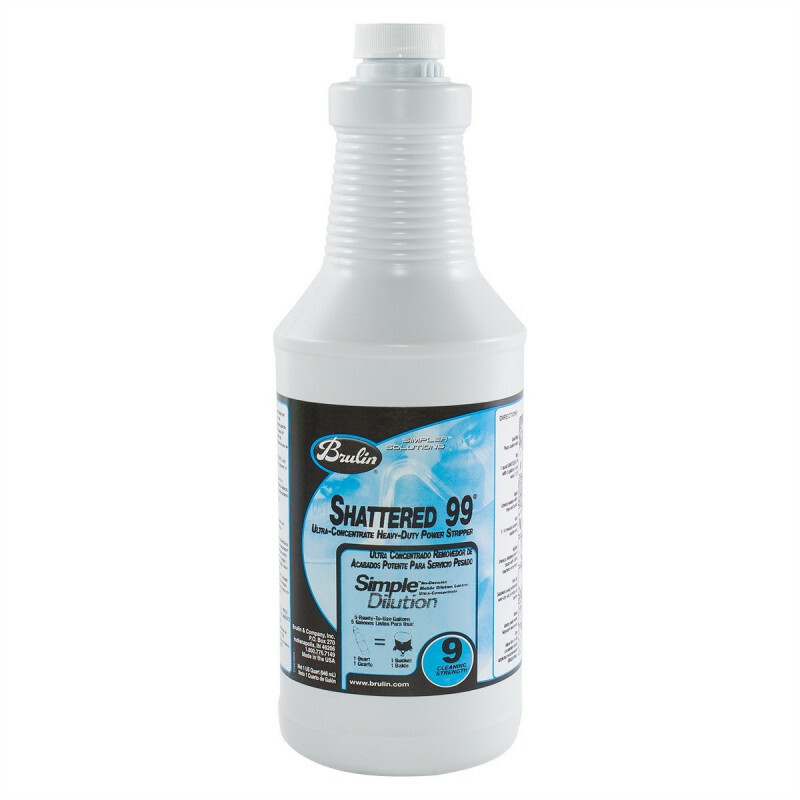 Shattered 99 is a concentrated floor wax finish stripping solution. All you need to do, is fill a bucket with 5 gallons of hot water, and then empty a single quart of Shattered 99 into a bucket (1:20). Apply solution liberally. Wait 5-10 minutes keeping solution wet. 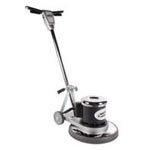 Use a floor buffing machine with a floor stripping pad to agitate the finish. Pick-up solution using an automatic floor scrubber, a wet-dry vac, or a clean mop. Rinse twice using clean water. Neutralizer may be used in first rinse. Allow floor to dry completely before applying finish. Removes old, tough wax buildup from floors to allow for new Finish and/or sealers to be applied with ease. *No extra Haz-Mat charges because of packaging.